Nice Location on Corner Lot! 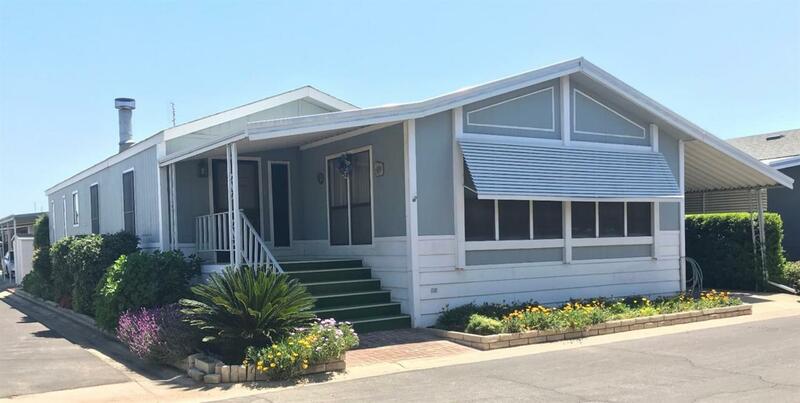 Located in an Active 55+ Senior Community this home has Dual Pane Windows, A Huge Master Closet, the Master Bath has a Garden Tub, Shower and Large Double Vanity. The Family Room features Vaulted Ceiling, Fireplace & Wet Bar. Seller to Install a New 30 Year Comp Roof. Home includes: Refrigerator, Dishwasher, Double Wall Oven, Gas Cook-top, Washer, Dryer, Ceiling Fans & Storage Shed. Call Listing Agent for an Appointment.